Mark Weinstein was in the 1960s better known as a trombonist when he played w/ Herbie Mann and various Latin-Jazz ensembles before leaving the music for academia. Now he¹s back, embracing both the flute and his trad Jewish roots with Shifra Tanzt ­ Jewish Jazz Ensemble, a quartet that interprets Jewish/Hebraic folk tunes is a jazz style that maintains strong folk overtones and even hints of classical (baroque) music. For the uninitiated to such kindly culture-clashes (see also: Andy Statman, John Zorn, The Klezmatics), there’s plenty of haunting, minor-key melodies that sound vaguely Middle Eastern and/or Balkan, but the rhythms and solos are fluid post-bop jazz, ranging from the pensive (Kandel’s “Hora/Der Gasn Ningun”) to the sorrowful (the J.S. Bach-inflected, “Scarborough Fair” – like “Rosh Hoshana Nigunim”) to the somewhat uptempo (the Coltrane-meets-Paul Winter-meets Greek wedding band “Frailach No.4/Bulgar”). Weinstein has a clean, welcoming tone on the flute, Brad S has a Jim Hall-with-teeth approach to the guitar, and Richmond and Haddad provide plenty of tense, subtly volatile rhythmic snap. Another selling point is all 13 tunes have any appealing compactness to them ­ everyone says what they need to say then moves on, without any extraneous blather. In fact, Shifra Tanzt would make for a nice introduction not only to “ethnic” jazz but to jazz neophytes in general ­ take heed, you gift-givers. Originally released on 20th October, 2002, Mark Weinstein’s “Shifra Tanzt” with his Jewish Jazz Ensemble is much more than the usual exploration of their musical roots that many musicians often embark upon. 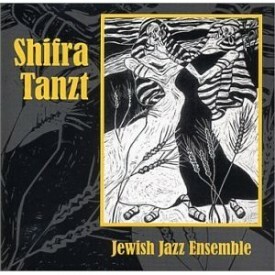 Listening to this album you very quickly come to realize that “Shifra Tanzt” is Mark Weinstein’s heart. It is utterly obvious that he is on very intimate terms with traditional Jewish music, there is no need for tentative explorations. Rather, “Shifra Tanzt” makes the simple statement, “this is where I come from” and pays a loving homage to the music. Weinstein, of course, is a jazzman, and a legend at that, particularly in the Afro-Latin/Afro-Cuban jazz sphere. It is therefore completely natural that his homage to the music of his heritage should be entirely in a jazz context. Taking traditional Jewish material, from the Ashkenazi klezmer, Yiddish song, Yiddish theatre song, and Chassidic nigunim (wordless songs) traditions as well as from the Sephardi tradition of Ladino (Judeo-Spanish) song, Mark Weinstein extends this material structurally as well as harmonically in stunning arrangements and breathtakingly inventive improvs. But his greatest achievement is that at the same time, he perfectly preserves the essence of the material, and therein lies Weinstein’s true genius. The Jewish “soul” of this music tugs and pulls at your heartstrings, and Mark Weinstein and his co-conspirators’ supremely finely-judged virtuoso performances are deeply moving and touching. Make no mistake though, this is jazz with Jewish soul, but it is jazz through and through, world jazz of the very highest calibre. Not that you would expect anything less from a world class line-up such as Mark Weinstein’s Jewish Jazz Ensemble. Weinstein himself, well remembered as practically the father of Latin jazz trombone and revered for his 1967 cult-status album “Cuban Roots” that for the first time unleashed the rhythms of Cuban folk and particularly Santeria drumming into a wider musical world, since switching to flute around 1973 has attained an almost unrivalled breadth as a player. Spanning Afro-Latin/Afro-Cuban and Brazilian jazz to post-bop and beyond, Mark Weinstein is left virtually peerless as a jazz flutist since the sad passing of Herbie Mann last year, with whom he also worked in the past. Weinstein is joined on “Shifra Tanzt” by guitarist Brad Shepik, best known for his work with Paul Motian and Simon Shaheen, bassist Mike Richmond who, among others, has worked with Stan Getz and Miles Davis, and percussionist Jamey Haddad, best known for his work with Joe Lovano and Dave Liebman, as well as as a member of Simon Shaheen’s Qantara ensemble. flights of fancy a delight and full of charm. 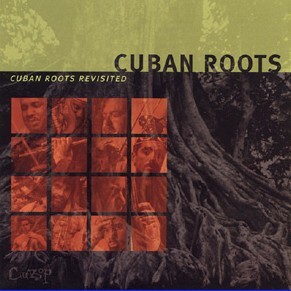 Another medley of two Ladino songs, “La Rosa/El Novio”, follows. The first of these two songs, “La Rosa Enflorese” to give it its full title, is a perennial favourite, traditionally associated with the Sabbath eve. Mark Weinstein’s is one the two most outstanding arrangements of this that it’s ever been my pleasure to hear. Hauntingly beautiful and full of charm and elegance, Weinstein’s magic flute elevates this piece to yet another level, with Shepik’s outstanding guitar becoming incredibly oud-like, and the segued “El Novio” blends in perfectly. “Kandel’s Hora/Der Gasn Nigun” returns to klezmer inspirations with fine extended improvs. The Yablokoff penned Yiddish song “Papirossen” (Cigarettes) opens with Richmond’s brilliantly subdued bowed bass setting the poignant mood, which is then picked up and expanded by Shepik and Weinstein. “Hallel Nigunim” once more turns to Chassidic nigunim for inspiration and a quietly reflective mood. Mark Weinstein’s “Shifra Tanzt” closes with two segued pieces by the American klezmer clarinet legend Dave Tarras, “Shifra Tanzt/Kiever Sher”. Exuberance here takes over, and you really don’t want Weinstein’s brilliantly inventive improvs to stop. There’s only one, albeit inadequate, word to sum up the elegance, charm, sophistication and sheer brilliance and consistency of this album. Magic. More than essential in any contemporary or world jazz collection, as well as of course any good Jewish music collection, Mark Weinstein’s “Shifra Tanzt” is simply phenomenal. A spine-tingler of an album!